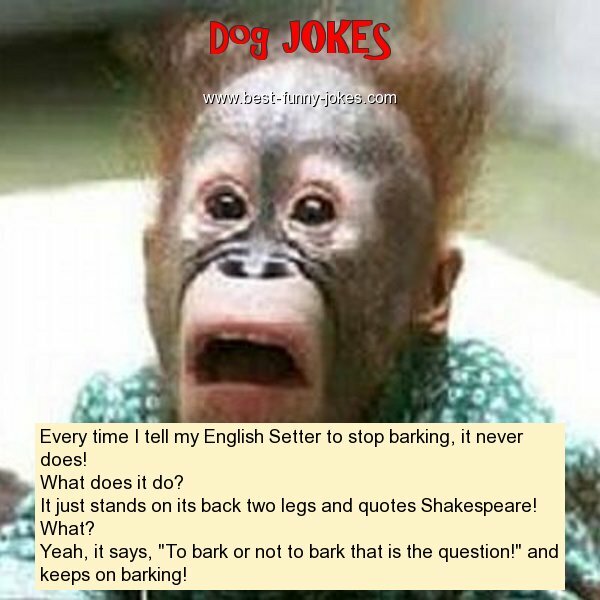 Every time I tell my English Setter to stop barking, it never does! It just stands on its back two legs and quotes Shakespeare! Yeah, it says, "To bark or not to bark that is the question!" and keeps on barking!